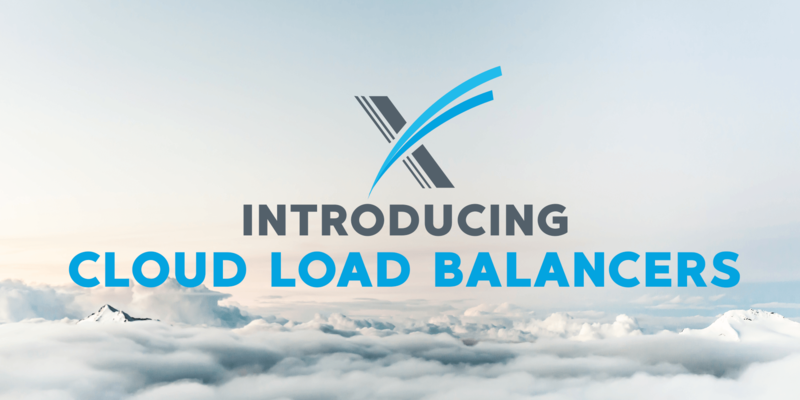 We’re happy to announce that we have launched our cloud load balancers service today. Load balancers will benefit you by allowing you to have high-availability. The built-in health monitoring will ensure that traffic is only directed to healthy instances. If the load balancer detected an instance that does fail the health check, it is automatically removed from the load balancer. All incoming traffic will then be redirected to healthy instances until the unhealthy instances are restored. This will ensure the health of the backend instances as well as prevent interruptions to your service. To ensure your high-availability, we’ve also taken precautions to ensure that the load balancer itself is highly available. Our load balancers are fully-redundant as they are automatically created in pairs. By having two load balancers, one acts as the active traffic manager while the second is on standby, fully-ready to be activated at any time. If the initial load balancer fails, the second will instantaneously take over the load to deliver continuous optimal website and content delivery. Load balancers will increase performance. The distribution of workloads will prevent instances from being overwhelmed by requests and therefore will have more resources available on each machine. Load balancers also offer you the freedom to add more machines whenever needed. With a load balancer as a gateway, changing the backend architecture is seamless. Loud balancers support multiple protocols such as HTTP and TCP. HTTP load balancing can forward website incoming traffic to multiple backend instances. In order to simplify the DNS setup process, your website or applications will be available via a single global IP address. HTTP load balancers are easily scalable and fully fault-tolerant. TCP load balancing support will direct TCP traffic to a cluster. The distribution of TCP traffic to a pool of instances results in higher performance and availability. As avid outspoken OpenStack contributors and users, it comes as no surprise that our cloud load balancers are powered by OpenStack project Octavia. Octavia is a load balancer-as-a-service project that aims to deliver a simple way to create and scale load balancers. Being powered by OpenStack, VEXXHOST cloud load balancers can be used to manage traffic on your OpenStack Cloud or be used alongside open source tools such as Kubernetes. Cloud load balancers are now available to users via their CloudConsole. If you have any questions or inquiries about this new service, please do not hesitate to reach out to at support@vexxhost.com. We’d love to help you out. We hope that you’re as excited by this new development as we are! We are also working on lots of new tools that will be added to our service soon. We can’t wait to share them with you soon. Stay tuned!